Divinity: Original Sin Enhanced Edition Preorder Details | Nerd Much? Larian Studios has announced the official Divinity: Original Sin Enhanced Edition release date and pre-order details this morning for the Xbox One and PS4 edition. The updated version of the RPG will release on October 24, with everyone who pre-orders the game receiving the Last Trick Bag, which adds a host of new cosmetic items, and the White Dragon wand, which is one of the new weapons for one of two new combat styles in the Enhanced Edition. The Last Trick Bag will included Grumio’s backpack, a pamphlet or recipes, 3 of Grumio’s Cotton Candy dye, 2 grenade ingredients, and 1 inert wand. These ingredients will allow you to create the White Dragon wand (with an Ice Wall skill) and a Scales of Steel grenade. 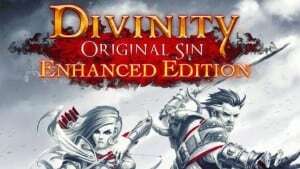 The Divinity: Original Sin Enhanced Edition DLC that will be given to those who preorder the game will also be made available for purchase after the game’s release. Both the Xbox One and PS4 versions will receive platform-specific DLC after launch, as Xbox One players will have access to the Forgotten Trick Bag and PS4 players receiving the Secret Trick Bag. The Enhanced Edition will be the extended (and upgraded) version of Divinity: Original Sin, bringing over 80 hours of content to your living rooms. It will have co-op multiplayer online and local split screen co-op, and it will bring a new 360 degree camera along with it. The game, in its original state, was a fantastic surprise for PC gamers. And if you haven’t played it yet, we strongly suggest you pick it up. (And you might want to pick up a cheap Xbox One hard drive if you don’t have the space). Pre-Order Divinity: Original Sin Enhanced Edition here.